Relaxation, well-being, sport and gourmet food. Hotel Bertelli in Madonna di Campiglio has always been the ideal starting point for unforgettable days in the Brenta Dolomites, a UNESCO World Heritage Site, and the Adamello Brenta Nature Park. The Alpine style rooms and suites dedicated to comfort make it an ideal location for a holiday in Madonna di Campiglio. Immersed in this idyllic setting on the best slopes of the Madonna di Campiglio ski area, moments of pure relaxation in our wellness area await you, as well as moments of sublime flavours in the Michelin star restaurant: Il Gallo Cedrone. A Michelin star restaurant in Madonna di Campiglio. Every wish is fulfilled in our renowned restaurant in Madonna di Campiglio. Here creativity, imagination, innovation and passion can be seen in every dish. Mountain holidays dedicated to relaxation. The Bertelli Hotel in Madonna di Campiglio is the ideal Alpine lodge to experience Trentino's uncontaminated nature. A new philosophy of hospitality in Trentino that provides exclusive services and strong emotions! Soak up the warm atmosphere! Real mountain lodges away from the stress of daily life, surrounded by attentive staff who believe that true luxury is to absorb all the emotions that nature, services and meticulous care can give! Exclusive restaurant in Madonna di Campiglio. 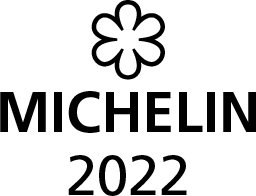 A Michelin Star gourmet restaurant where you can rediscover your senses and share moments of pleasure in a welcoming atmosphere, where the quality of the products and the attentive service completes an experience of taste and emotions in every course. At Hotel Bertelli we have the holiday you're looking for: sports holiday, family holiday, cultural holiday, adrenaline-packed holiday... All this while being surrounded by natural landscapes able to amaze everyone during an unforgettable stay in the mountains!